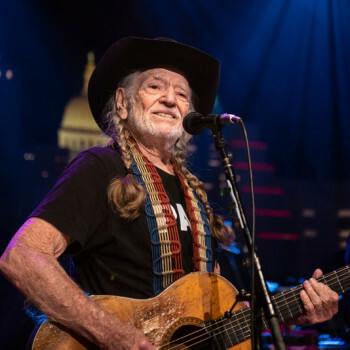 Austin City Limits proudly welcomes back a longtime friend, American music icon Willie Nelson, in a career-spanning hour as he performs a mix of his universally-known hits and new classics from his timeless catalog. There’s a good reason why a bronze statue of Willie Nelson stands at the entrance to ACL’s studio home on the Austin street that bears his name. 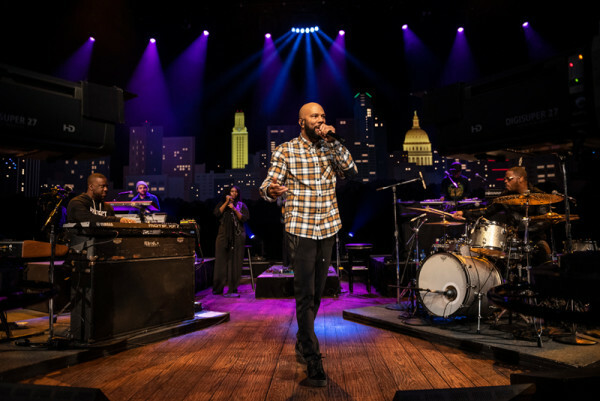 The Texas native launched Austin City Limits with the now-historic pilot episode (taped in 1974), ushering in what has become the longest-running television music series ever. Inducted into the inaugural class of the ACL Hall of Fame in 2014, he returns to “the house that Willie built” for a remarkable 18th appearance on the program, marking his first headlining appearance in a decade since he shared the stage with Asleep at the Wheel during Season 35 in 2009. The new performance marks his first appearance with his longtime Family Band since Season 25 in 2000. 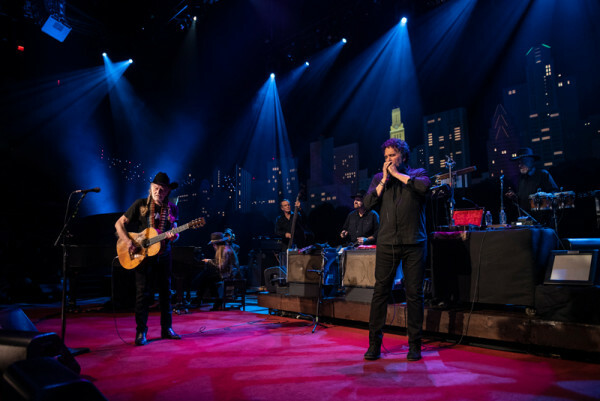 In the 45-year history of Austin City Limits, no artist has personified the music series’ eclectic, freewheeling spirit more fully than Willie Nelson. 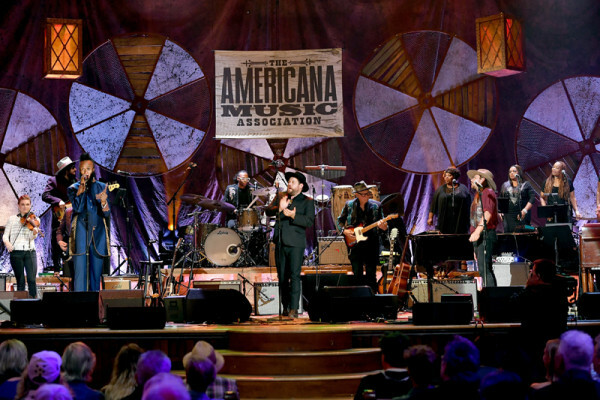 Joined by the five-piece Family band, Willie starts the 16-song set with his perennial opener, “Whiskey River,” the song he launched ACL with almost a half-century ago. 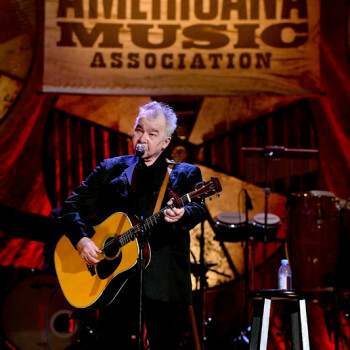 The energy is palpable for the mainstays that established him as a songwriting legend: “Funny How Time Slips Away,” “Crazy,” and “Night Life” (undertaking such an intense, bluesy shred on his trusty acoustic Trigger that he has to shake out his left hand afterward). He honors departed pals and co-songwriters with shout-outs (“Good Hearted Woman,” “for Waylon!” and “It’s All Going to Pot,” “for Merle!”). Willie calls out often for the crowd to join in, and they reply with joy and respect. “I hear it!”, he answers back with a grin during one of many sing-along moments. Tune in this weekend for this episode, and, as always, check your local PBS listings for the broadcast time in your area. Go to the episode page for more info, and don’t forget to click over to our Facebook, Twitter and newsletter pages for more ACL info. 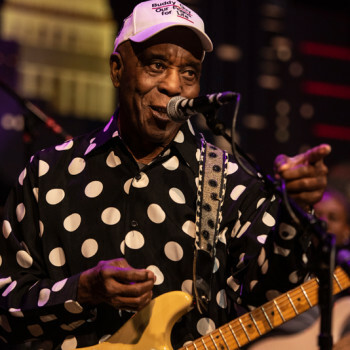 Join us next week for another brand new episode, featuring the return of blues legend Buddy Guy and the debut of hip-hop/jazz supergroup August Greene. 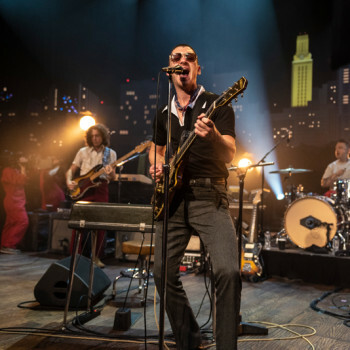 Austin City Limits showcases the best of music from near and far to cure your January blues: UK modern rock icons Arctic Monkeys and Austin favorites Wild Child. One of today’s biggest live acts, Arctic Monkeys perform highlights from their 2019 Grammy-nominated album, Tranquility Base Hotel & Casino, which topped many critics’ 2018 year-end best lists. The acclaimed Sheffield, UK quartet received a coveted 2019 Brit Award nomination for Best Band and they deliver the goods in their ACL debut with a sultry, stylized, captivating six-song set. The Arctic Monkeys play as their movements are captured not only by the ACL cameras, but allegedly, as well, by the cameras of a faux documentary crew filming their every move. Frontman Alex Turner revels in the persona of a rock ‘ roll superstar, oozing charisma on dramatic set opener “Crying Lightning” from 2009’s Humbug before checking into Tranquility Base Hotel & Casino for a lush three-song opus. Turner then checks out with a stone-cold classic, “R U Mine?” from the band’s 2013 chart-topping, platinum smash AM, thrilling the Austin audience. Tune in this weekend for this episode, and, as always, check your local PBS listings for the broadcast time in your area. Go to the episode page for more info, and don’t forget to click over to our Facebook, Twitter and newsletter pages for more ACL info. Join us next week for another brand new episode, featuring the return of American music legend and ACL pilot star Willie Nelson. 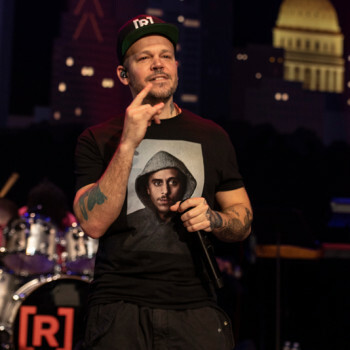 Austin City Limits presents an extraordinary hour with Puerto Rican rap superstar Residente. The record-breaking Grammy Award-winning artist makes his ACL debut in a vibrant eight-song set showcasing his whipsmart rap and powerful message of social justice. Rene Pérez Joglar, aka Residente, has earned a staggering 28 Grammy Awards (more than any other Latin artist) as a solo artist and co-founder of the trailblazing alternative rap duo Calle 13. The superstar also received the prestigious Nobel Peace Summit Award in 2015 for his efforts to promote social awareness and peace. In an impassioned, thought-provoking debut, Residente takes the ACL audience on a journey around the world, exploring his globe-spanning roots through music, and sharing the stories behind many of his songs. The rapper showcases highlights from his 2018 Grammy Award-winning, DNA-test inspired, self-titled solo debut. Finding he had roots all over the world, Residente traveled to many of the places that formed parts of his genetic makeup, from Serbia to Africa. Tune in this weekend for this episode, and, as always, check your local PBS listings for the broadcast time in your area. Go to the episode page for more info, and don’t forget to click over to our Facebook, Twitter and newsletter pages for more ACL info. Join us next week for another brand new episode, featuring British rockers Arctic Monkeys and Austin favorites Wild Child. 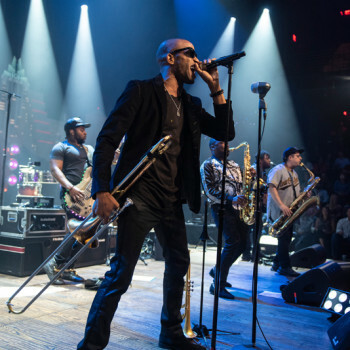 Austin City Limits showcases Trombone Shorty & his 10-piece band Orleans Avenue in an electrifying hour with the New Orleans funk shooting stars. “What’s up, ACL? We meet again!” proclaims Trombone Shorty, aka Troy Andrews, in his second appearance on the ACL stage. 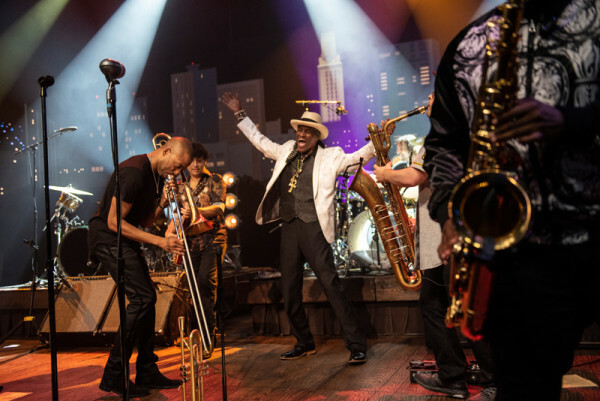 The celebrated singer/songwriter/trombone sensation made his ACL debut in 2010 and has become New Orlean’s biggest musical ambassador, channeling his hometown’s rich cultural heritage of soul, funk, jazz, rock and hip-hop to audiences worldwide. The bandleader and his band of aces, including horns, guitar and percussion, show off their bona fides on the instrumental opener “Buckjump,” before easing into the brass-band funk of the Allen Toussaint classic “On Your Way Down.” The non-stop party features selections from Shorty’s catalog, including funky rocker “Where It At?” and the show-stopping “Here Come the Girls” from 2017’s acclaimed Parking Lot Symphony, along with numbers from 2011’s For True and 2010’s Backatown. In a show full of musical highlights, Shorty takes the mood even higher, announcing “We about to take you to uptown New Orleans right now,” introducing a very special guest, ACL Hall of Famer Cyril Neville, “from the mighty, mighty Neville Brothers.” In an exhilarating performance, the beloved showman reaches back to the Nevilles’ origins, burning through the legendary Meters’ “No More Okey Doke” and “Fiyo On the Bayou,” certified Big Easy classics that have the Austin crowd on their feet for a glorious finale. Tune in this weekend for this episode, and, as always, check your local PBS listings for the broadcast time in your area. Go to the episode page for more info, and don’t forget to click over to our Facebook, Twitter and newsletter pages for more ACL info. Join us next week for another brand new episode, featuring Latin superstar Residente. 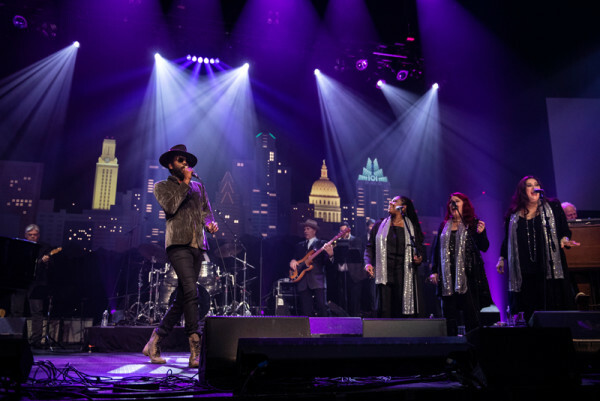 Austin City Limits rings in the new year with an annual tradition, highlights from the Austin City Limits Hall of Fame Inductions & Celebration, hosted by Chris Isaak. 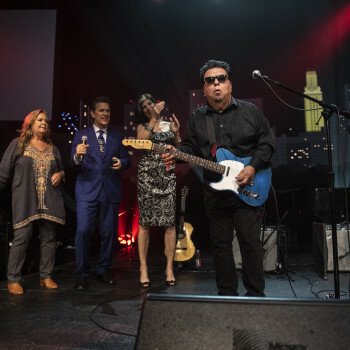 This fifth annual all-star celebration features music luminaries and more sharing the stage for one epic night to perform in honor of the newest class of inductees: Ray Charles, Marcia Ball and Los Lobos. 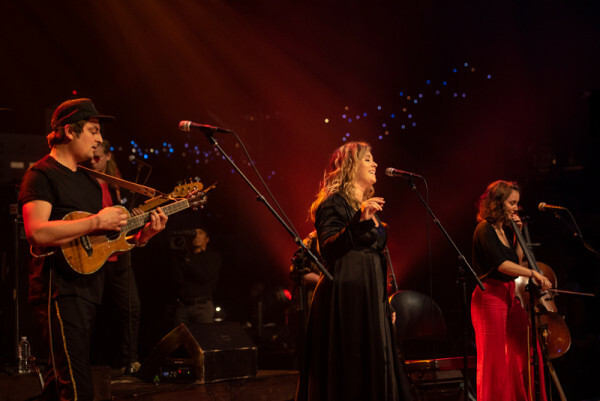 The special hour, taped October 25, 2018 at ACL’s studio home, ACL Live at The Moody Theater, in Austin, Texas, honors the musicians who have played an instrumental role in the evolution of the iconic series. 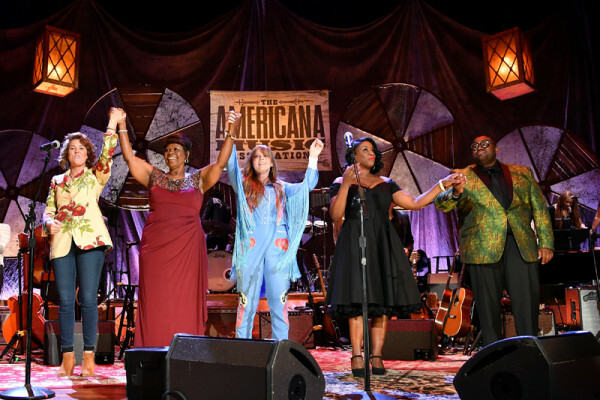 The broadcast airs Monday, December 31 at 10pm C/11pm E on PBS – check local listings for times. Master of ceremonies Chris Isaak opens the special noting that Austin City Limits, now in its 44th season, is the longest-running television music program in history, outlasting American Bandstand, Soul Train and—even—Hullabaloo. Isaak introduces honoree Marcia Ball, the Texas-born pioneering blues pianist who debuted on ACL’s first season in 1976, saying “when she sings the blues she makes you dance.” Inducted by her longtime friend and collaborator, New Orleans soul queen Irma Thomas, Ball accepts the honor saying of ACL “I was lucky enough to get here first, stay longer, go farther and have more fun than I ever, ever imagined possible.” An all-female line-up of blues all-stars pays tribute to her 50-year strong career in a sparkling three-song salute with Ball herself on piano, joined by Thomas and powerhouse vocalists Tracy Nelson, Lou Ann Barton, Carolyn Wonderland and Shelley King, celebrating a shared lifetime of friendship and music. The late Ray Charles made two seminal ACL appearances in the 1980s and is honored following an induction by John Burk, president of Concord Records and producer of the music titan’s final studio album in 2004. Norah Jones salutes the Genius with a sterling rendition of “What Would I Do Without You,” saying “this is one of my favorite Ray Charles songs.” Blues great Ruthie Foster brings the house down with a powerhouse reading of Brother Ray’s signature “Georgia on My Mind” and blues-rock star Gary Clark Jr. puts down his guitar for the occasion and steps up to the mic to pay vocal tribute, delivering a radiant “Nighttime Is the Right Time” while vocalists Ruthie Foster, Shelley King and Carolyn Wonderland do The Raelettes proud with show-stopping backing chorus. Acclaimed filmmaker Robert Rodriguez inducts his longtime compadres Los Lobos into the ACL Hall of Fame calling the East L.A. band “Endlessly inventive, unbelievably groundbreaking, masterful with all kinds of instruments, peerless musicians, and just truly great people.” Los Lobos’ musical kinship with ACL includes six appearances on the series, and they take the stage to perform a trio of back-to-back classics from their forty year-plus career. Joined by director Rodriguez on guitar, steel guitar ace Robert Randolph, Boz Scaggs and guitarist Adrian Quesada, the brothers in arms dazzle with a jubilant eight guitar heartbeat, and the celebration of music comes to an epic close, ushering in the New Year with a Feliz Año Nuevo! and a buoyant “La Bamba,” the 1987 classic. 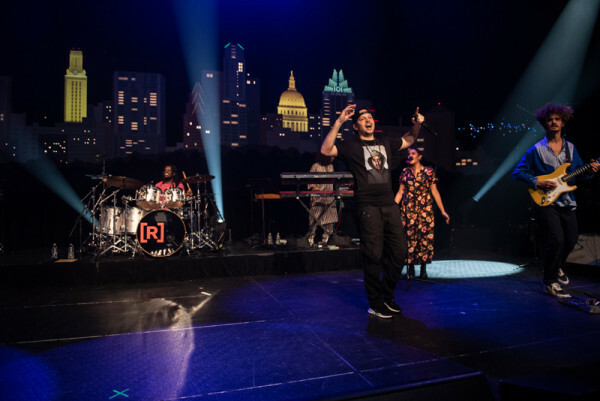 Austin City Limits showcases two originals: breakout R&B/pop star Khalid and indie rocker Mac DeMarco make their ACL debuts in a new installment premiering this weekend. 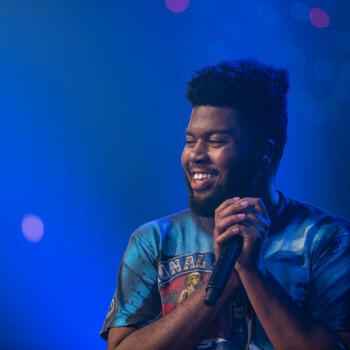 Khalid performs songs from his Grammy-nominated, multi-platinum debut American Teen. Mac DeMarco delivers soft jams from his acclaimed This Old Dog. The New York Times calls Mac DeMarco “a trendsetting merrymaker” with a “surprising career built on seeming like an affable deadbeat.” The irreverent prankster is known to share wine and cake with fans during his live shows. The Edmonton native promises to keep it smooth at the top of his ACL debut, and he makes good on the pledge in a five-song interactive set of his distinctive laid-back rock. 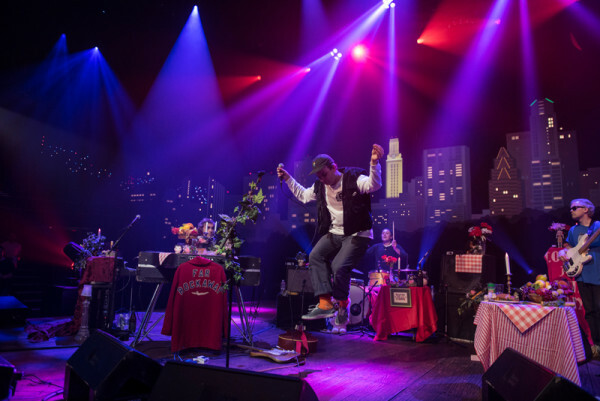 The singer-songwriter-guitarist and his four-piece band spotlight songs from his fourth and best-selling LP This Old Dog, taking a stage set as an unconventional version of an Italian restaurant: checkered tablecloths, fake fruit, plenty of red wine and dollhead masks. Launching into the smoothly flowing set-opener “On the Level,” the creamy sound of an electric grand piano signals the drift into “For the First Time,” an ‘80s-sounding soft rocker with a melody that thrills the ACL audience. The gap-toothed rocker shows off his guitar skills on songs from his 2014 breakthrough, the lo-fi gem Salad Days, including the mellow pop of “Brother” and “Chamber of Reflection.” DeMarco throws a slice of pound cake to the willing audience and closes out the set directing the crowd in a little clapping “classic rock-style” before ditching the guitar for a glass of red wine (“It’s Cab-Sav. It’s French.”) to toast the crowd. Tune in this weekend for this episode, and, as always, check your local PBS listings for the broadcast time in your area. Go to the episode page for more info, and don’t forget to click over to our Facebook, Twitter and newsletter pages for more ACL info. Join us next week for a classic encore episode from 1979, featuring the legendary Tom Waits.